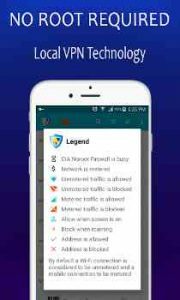 CIA Firewall – Internet Security Noroot Firewall is a Noroot firewall for all android devices without the need of rooting your phone. CIA Firewall – Internet Security Noroot Firewall protects your personal information from being sent to the Internet. CIA Internet Security Firewall – CIA Firewall help you to control the internet access when an apps is trying to connect to the internet without your permission. SUPPORT NO ROOT ANDROID DEVICES TO USE THE INTERNET DATA FIREWALL. Easy to control the access permission for each app to access internet with mobile network and WIFI network. Support to only blocking background data and let foreground data go. Show the history data by hour, day or month in bar chart. Notify when one app has new internet connection. Analyze the accessed websites for each app. Record, analyze and sort the data usage for each app. Capture data packets, which means you can sniffer the internet data on your device with no-root needed. CIA Internet Security Firewall give you the network security as security apps firewall free internet security no root firewall, the best internet protection for your mobile phone. CIA Firewall gives you a complete protection for your Android phone. This is the perfect solution if you want a firewall for android without root. CIA Internet Security Firewall working as internet security software and checkpoint firewall with the VPN firewall service will provide you the best internet security solutions for your phone. (UPDATE) Found the problem is it don’t like certain proxy apps. Have a back up because Orbot isn’t working today for some reason and the back up profile s what’s causing this firewall to disable. Happy to say me and CIA. Fireall are back on good terms but do watch what VPN you run it with. They might not get along. Geat a mentally handicap firewall that shuts itself off after a couple minutes goes by. It started out great but over time it just automatically would disable and now it’s just useless. Never using it again. Thank you very much for you review. Since we are not asking for root access, so the blocking system app seem impossible for us. 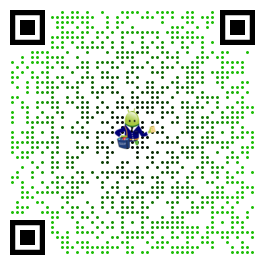 We are going to update the app nd make it better for your control soon. Awesome! Cuts data usage by blocking apps from accessing network. So far it has protected my internet usage, and has kept piggy backers at Bay.